Here is one iron law of the Internet: a social network’s emphasis on monetizing its product is directly proportional to its users’ loss of privacy. At one extreme there are networks like Craigslist and Wikipedia, which pursue relatively few profits and enable nearly absolute anonymity and privacy. At the other end of the spectrum is Facebook, a $68 billion company that is constantly seeking ways to monetize its users and their personal data. 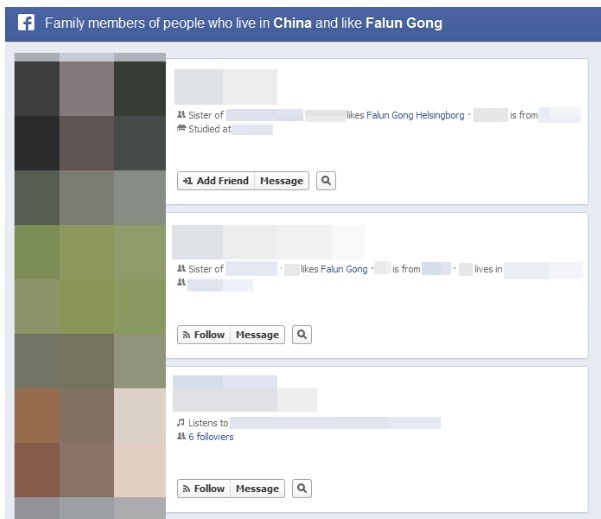 Facebook’s latest program, Graph Search, may be the company’s largest privacy infraction ever. Facebook announced Graph Search in mid-January, but it has not officially launched. According to company materials and some independent reports, however, the program cracks open Facebook’s warehouse of personal information to allow searching and data-mining on a large portion of Facebook’s 1 billion users. Users who set their profiles to “public” are about to be exposed to their largest audience ever. The financial incentives are clear. Google, which is triple the size of Facebook, makes most of its revenue through search ads. So while the companies host the two most-visited sites in America, Google squeezes more money out of users in less time. Search provides a way for Facebook to sell more to its active users and, of course, to sell its users to others. That’s where Tom Scott comes in. Scott, a 28-year-old British programmer, prankster and former political candidate—he ran on a “Pirate” platform of scrapping rum taxes—has launched his own prebuttal to Graph Search. His new blog, “Actual Facebook Graph Searches,” uses a beta-test version of the feature to show its dark side. “Graph Search jokes are a good way of startling people into checking their privacy settings,” says Scott, who was randomly included in a test sample for early access to the program. “I’m not sure I’m making any deeper point about privacy,” he told The Nation. That may have helped make Scott’s lighthearted effort so effective. Within a few days after launching, Scott’s blog went, yes, viral. He says it has drawn over a quarter-million visitors, thanks to a wide range of web attention, and it has stoked more scrutiny of Facebook. Mathew Ingram, a technology writer and founder of the digital mesh conference, argues that Scott’s search results gesture at a value beyond traditional “privacy.” Some pragmatists and Facebook defenders stress that the information in these search results was already surrendered by the users, so we should criticize them, not the technology. (You know, Facebook doesn’t kill privacy, people do.) But Ingram rebuts this reasoning by invoking a paradigm from philosopher Evan Selinger, who argues that these questions actually turn on the assumptions and boundaries of digital obscurity. Facebook’s search engine is another step in its long pattern of promising a “safe and trusted environment” for empowered sharing — Zuckerberg’s words — while cracking open that Safe Space for the highest bidder. So the access and context of that space is crucial. After all, many people would consent to sharing several individual pieces of personal information separately, while balking at releasing a dossier of all that same information together. The distinction turns more on the principles of obscurity and access than binary privacy—a concept that has faded as social networks proliferated—and even draws support from the literature on intelligence and espionage. Facebook’s incentives are, almost always, to keep assembling the information and revealing that picture. "Obscurity: A Better Way to Think About Your Data Than 'Privacy,'" Selinger's essay co-authored with Woodrow Hartzog, is here.